The rugged mountains of Lochaber provide a spectacular backdrop to one of the toughest adventure races in the world. The rugged mountains of Lochaber provide a spectacular backdrop to one of the toughest adventure races in the world. 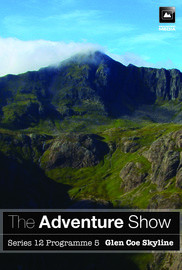 The Glen Coe Skyline attracts a top-class international field and the Adventure Show follows competitors as they tackle a course which includes nearly 5,000 metres of ascent over terrain that many would describe as rock climbing.